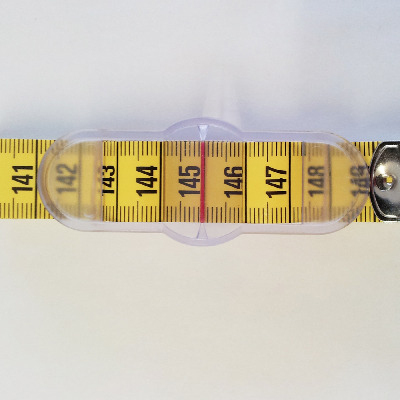 The slider on this tape measure may not look like much of a feature, but it is tried and tested and it is a revelation! No more fiddling about with fingers and thumbs trying to measure yourself or someone else as accurately as possible. No. You just put the tape measure on like a belt, and tighten it until the red mark on the slider stops and tells you how much you measure. If you're on your own, you can do this while looking in the mirror instead of trying to contort into a variety of shapes designed to keep your size accurate while peering in manner of contortionist to ascertain what the tape says.